Moderator Patrick_y lists some true scenarios of bad behavior at auction houses so PuristSPro readers can learn the mistakes of other PuristSPro members and avoid making the mistakes themselves. I'm not going to be making any friends at the auction houses with this article. So I publish this with great risk and detriment to myself. Just about every auction house in existence has made a mistake, probably multiple mistakes, because they are run by humans and humans are often incorrect. Good auction houses have bad employees and vice versa. 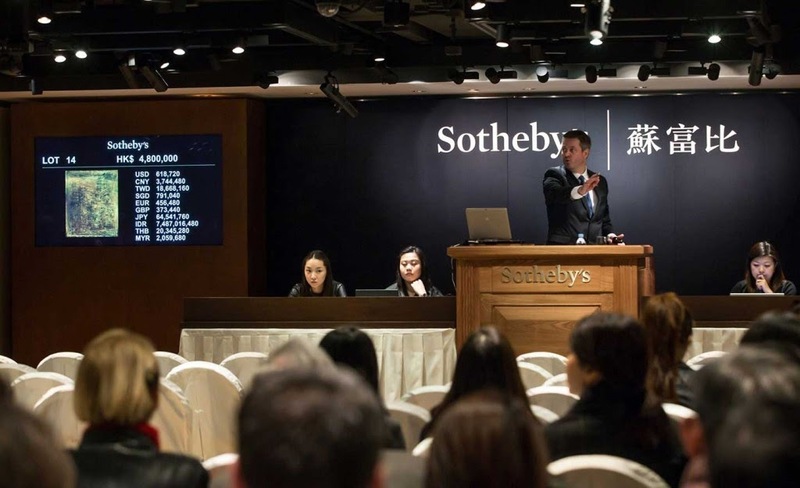 Auction houses are necessary for quick and speedy liquidations of collections, but collectors need to beware of the risks they're taking when buying from an auction house. Here are some stories witnessed by some PuristSPro members. A PuristSPro member who bought a watch from Antiquorum who advertised it as a Lange but then it turned out it was a Laco! This auction house presumably received the watch as a consignment piece, the consignor likely provided a description and the auction house listed the watch with the supplied description and didn't even open up the back of the case to check if the description was accurate. When the client who acquired the piece later took the watch to Lange in Germany for servicing, the movement clearly said "Laco" and not Lange. Antiquorum wouldn't refund the client for years. This client finally managed to get a refund only after his story was picked up by the press. In the years prior to this article in the Press, Antiquorum was doing around $250 million in auction revenue annually. After the article ran, Antiquorum was only doing approximately 1/3 or thereabouts (rough numbers). Moral for the careful consumer: don't take the auction house's word for anything, auction house descriptions can be completely false; and descriptions and condition reports are probably written to favor a higher bid. Auction houses have also "forgotten" to pay their consignors. So it's not just the buyer who is always at risk. The seller/consignor has risk too! The following story is hearsay, but considering I've heard two very similar stories, I feel compelled to mention it. Two PuristSPro members contacted Antiquorum, informing Antiquorum that lots in their upcoming auction had timepieces that were stolen from themselves. When they provided Antiquorum with the police report; these lots were withdrawn by the original consignor. The PuristSPro members never recovered their stolen timepieces. The PuristSPro members had confirmed Antiquorum had the physical piece themselves, yet after informing Antiquorum which specific lot it was, these two PuristSPro members believe that Antiquorum leaked the information to the consignor so the consignor retracted them from the sale. It would be irresponsible for me to say that Antiquorum is a front for stolen goods, but I wouldn't be slandering any entity to suggest that it seems that Antiquorum definitely acts in unethical manners. And why would Antiquorum protect the consignor of stolen goods? Does the consignor have a special understanding with Antiquorum? And is the consignor fronting stolen merchandise on Antiquorum? Either way; Antiquorum should have followed proper protocol and given the lot to police so the police could determine how to re-unite the property with the correct owner. It's very important to note; Antiquorum is not the only bad auction house. Every auction house has made mistakes. Many auction houses often refuse to take responsibility for many of those mistakes. Sotheby's had a work by Banksy, the famous graffiti artist that was in one of their auction. This Banksy came to Sotheby's already framed. Traditionally, when an auction house gets a painting, they remove the painting from the frame to confirm it is the real thing. The painting is examined under multiple processes, UV, various light angles, with a variety of experts. Sotheby's apparently either didn't do this normal procedure with the Bansky painting or they did it so casually that they didn't notice the frame was heavier than usual, the frame had a power source, an inverter, and a PAPER SHREDDER! When the hammer/gavel fell, a prankster remotely started the shredding of the Bansky painting. Sotheby's vehemently claimed they didn't know about the prank and were not in on the act. Well, that leads me to conclude, on a painting with an estimate of hundreds of thousands of Pounds, this is just further evidence that Sotheby's was so careless in their inspection that it is probably legally defined as negligence! When you buy anything from an auction house; I'd be very afraid. Very afraid. All those experts and they didn't even notice the shredder, batteries, and inverter hidden in the frame... All those experts... Is it fair to call them "experts" anymore? More like "incompetent experts" seems to be more fitting. For shame! Mr. Bill Koch (one of the three Koch brothers), one of the largest art and wine collectors in the world said in a 60 Minute Interview that auction houses make buyers complicit in their scams. When buyers buy something and then later realize there's a problem; they go back to the auction house to complain. The auction house says they'll consign the art for the buyer and sell it and take a reduced commission so the buyer is made whole again. The buyer is now complicit; because they will remain mum so their property can go for a high bid to another unsuspecting buyer. It's a feedback loop! Bill Koch, spent millions of dollars hiring private investigators to determine if his collection of wine and art was legitimate. One of the investigators found that some of his wine bottles from the 1800s was glued to the bottle with Elmers brand glue, a school glue for children that wasn't available in the 1800s. Mr. Koch has acquired with many of the major auction houses, and it seems all of them have problems. All I can say is be very careful at auction houses. An auction house may not be out there to get you, but if you have a problem, it is likely going to be difficult to get the auction house to take responsibility. With all of these experts who work at auction houses; many preside over more than their area of expertise, and many can make many mistakes. Please feel free to share your story below. Include your comments as well. I will read every one of them. Thank-You Patrick for a great and most useful post. If big league collectors also get conned, as in your example of Bill Koch, there's indeed good reason for everybody to be careful. Sorry you had to go through all of this Patrick, but thanks for sharing it, that's extremely useful! Absolutely avoid an auction house if you can! Only buy from an auction house if you HAVE TO HAVE IT and have done the utmost due diligence. Leave nothing to chance. Frightening... But I lived that by myself, too. So sorry to read about your experience, Nico! Having lost a significant part of your collection had to be hard enough, but then to have to deal with these crooks... Very sorry, my friend! Thank you, Patrick, for sure this post. Yeah... 10% from the seller, and 25% buyer's premium. It's crazy. Thank you OP - some excellent advice. Avoid them if you can! I don't claim to be a Banksy expert, apparently I even spelled it incorrectly. Apologies! Banksy admitted to building the frame with the shredder involved. He even posted a video on social media of him constructing the frame and testing it. I could tell some hair raising stories about Auction Houses but it’s best left to another time. Basically avoid at all costs. Are auctions really such bad institutions for watch collectors? I don't think so! All these horror stories are not made up and they seem to be during the Internet Age. None of the auction houses are suing us for defamation or slander. Definitely. There are successes at auction. with spotty provenance or dependent on experts with conflicts of interest, there is very high probability of a conmanship going on. Auction houses are not the only places where these things happen, they just happen to be the most high profile. Even Bill Koch, one of the wealthiest men in the world, doesn't have money to spare to be cheated. You're on the right path!